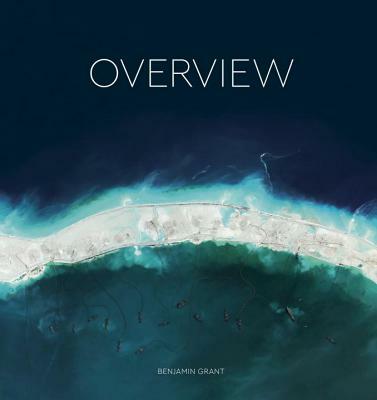 Benjamin Grant is the author of Overview and also oversees the Instagram project Daily Overview, from which the book takes its inspiration. Since he began the project in December 2013, his daily posts have both delighted and challenged his audience from all corners of the globe. For Overview, Grant has curated and created more than 200 original images by stitching together numerous high‑resolution satellite photographs. With each image, he aims to not only inspire a fresh perspective of our planet but also encourage a new understanding of what human impact looks like. Grant graduated from Yale University, where he studied world history, art history, and rowed on the heavyweight crew team. He lives and rides his bike in New York City. "A compendium of spectacular satellite imagery...Overview documents the impact of human existence." "Absolutely gorgeous, yet utterly gut-wrenching"
"Stunning, surprising and intriguing photographs of Earth from the skies." "Photos of earth from above will change your outlook of the planet"
"Incredible images that show Earth’s surface as you’ve never seen it before"
"Grant’s book...uses satellite photography to reveal both environmental wonders and suburban sprawl from a new perspective." "From far away, it’s possible to get a glimpse of what connects us, and why it’s worth protecting." "Hypnotic images from across the globe"
"A unique view of the globe we all call home." "A tour de force of research and image presentation"